Dr. Stephen D. Sarfaty received his Bachelor’s in Psychology from Livingston-Rutgers in 1977 and his Doctor of Psychology from the Illinois School of Professional Psychology in 1981. He is a Diplomate with The American Board of Clinical Neuropsychology and The American Board of Professional Disability Consultants and a Fellow of the American College of Professional Neuropsychology. A well-known Connecticut neuropsychologist, he was appointed to the Governor’s Task Force on Traumatic Brain Injury, and was a member of the charter Board of Directors of the Brain Injury Association of Connecticut and leader for ten years of the Association’s Gaylord Hospital weekly traumatic brain injury satellite support group. He is the founder and Director of Comprehensive Neuropsychological Services, P.C., (CNS), in Cheshire, Connecticut, and a consulting neuropsychologist to a number of area hospitals and programs. He was Assistant Clinical Professor at the University of Hartford, taught at Quinnipiac College and lectured at Yale University. He presents to many professional and public groups across Connecticut, around the country and internationally. 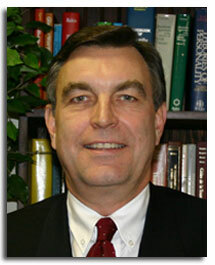 He has contributed to the development of validity determination protocols for forensic neuropsychological examinations. He was a recipient of the Brain Injury Association’s 1988 and 1991 awards for Meritorious Service and their 2013 President’s Award. Dr. Sarfaty and his staff are committed to the provision of quality, client-centered services. They are also committed to advocacy for the improvement of both quality health care delivery and valued social roles for variously abled persons. Dr. Sarfaty also serves as a consulting and testifying expert witness in cases of claimed neuropsychological impairment.